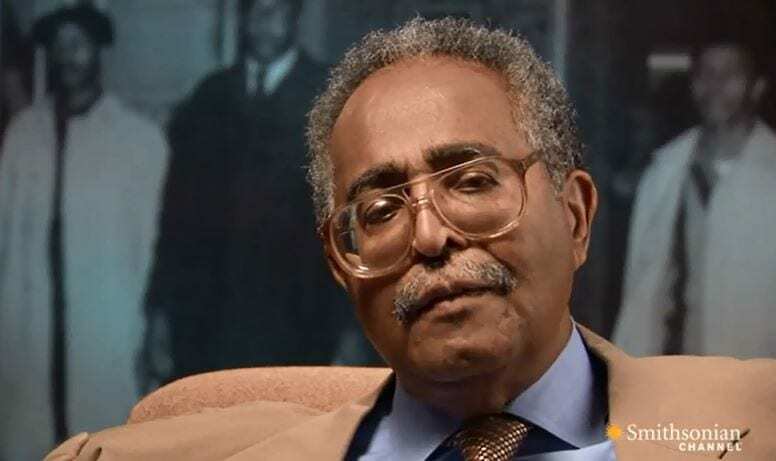 Franklin McCain Life, Death and Legacy – Biography and Wiki of Civil Rights Pioneer. It was announced Friday January 10th 2014 that Civil Rights activist Franklin McCain had passed. His son Frank McCain stated it was due to respiratory complications. His obituary was published in the Charlotte Observer. McCain had an extraordinary life playing a significant role in the civil rights movement in the 60′s. As a teen his leadership and bravery was put on display for the world during a revolutionary sit in Greensboro North Carolina. The then college student’s legacy fueled a shift in the effort towards improved race relations that spread like wildfire across the country. Dozens of sit ins mimicking the McCain and his college friend’s action gave an even greater light on the inequalities of American society. Over 50 years later and a piece of is stance showcased in the Smithsonian museum. The Washington D.C. museum is home to the very table he and his friends sat at in 1960. Following his death his oldest son Franklin Jr. had detailed the strong and powerful relationship he had with his father and expressed his gratitude for his father’s engagement in a pivotal movement in America’s history. Millions of tweets and social media post echoed the same sentiment and gratitude for McCain’s fight and bravery. Franklin Eugene McCain was born in Union County North Carolina in 1941. He was raised in Washington, D.C. while his father was a businessman and his mom a housewife. Growing up he had very little personal experience with harsh and brutal racism that plagued the country and mainly the South. But as a teenager McCain felt he was called to action when news of Emmett Till’s mutilation and death made headlines. 14 year old Till was murdered and lynched in Mississippi after flirting with a white woman. His death sent shockwaves across the country and became a catalyst for the civil rights movement. “Emmett Till never had a chance. My young mind would never let me accept that or forget it,” McCain told the Atlanta Journal-Constitution in 2005. Just 4 years later McCain would make headlines spawning an infectious fight against segregation. At 18 he attended North Carolina A&T and shared a dorm room with three friends who would become partners in a pivotal point in the country’s history. McCain along with Ezell Blair Jr. (now Jibreel Khazan), David Richmond and Joseph McNeil. had long and intuitive talks over homework about the racial tension in the country. Their parents were successful career driven people who had encouraged their kids it was best to remain silent during the segregated era. If they focused on their own careers and avoided speaking out about the injustices all around them they would be successful. But that advisement from their parents only encouraged the young men to revolt. On Feb. 1, 1960, McCain and three other students from North Carolina A&T State University sat down and requested service at a whites-only counter at the F.W. Woolworth store on Elm Street in Greensboro. The next day, about two dozen students joined them. And within a month, the sit-in movement had spread to hundreds of cities across the United States. The action was a catalyst for civil rights and helped spur great change in America. McCain eventually graduated from North Carolina A&T with degrees in Chemistry and Biology. As an adult he moved to Charlotte becoming a chemist and later marrying Bettye McCain. His marriage lasted 48 years until her death in 2013.